Birmingham City’s poor home form continues as Reading captain Jobi McAnuff scored a brace to make it 14 home games without a win. A goal either side of half time from the Royals skipper sealed the victory, although the home side felt that the defeat was harsh as they’d dominated the majority of the match. 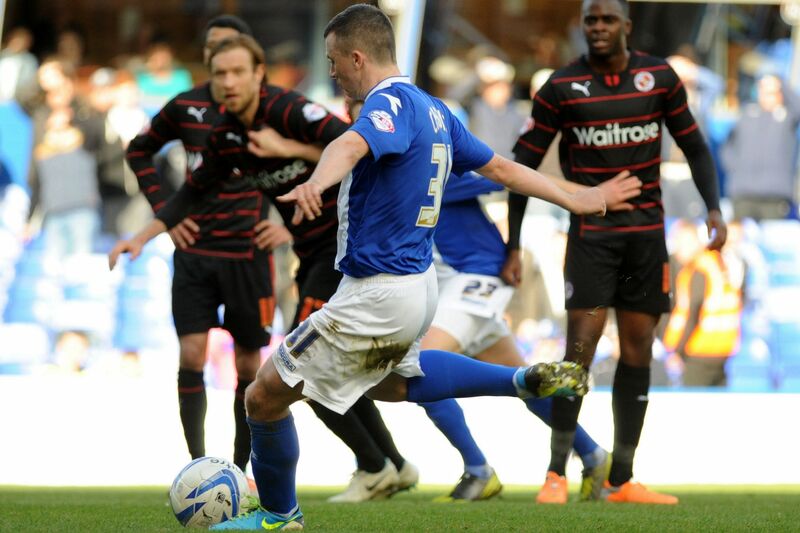 Paul Caddis equalised just before half time, but Lee Clark’s side just couldn’t take their chances in front of goal. Fedrico Macheda was the first player to test either ‘keeper with a drilled left footed outside the area that was well parried away by Alex McCarthy. The front four of Nigel Adkins’ side started to combine well with pace to burn and oozing flair, before left winger McAnuff gave Reading the lead. 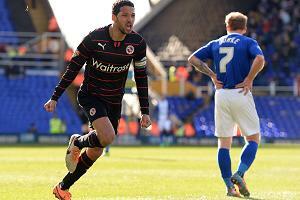 A cross from Royston Drenthe was poorly dealt with by the Blues’ defence and Will Packwood’s header found McAnuff. The Jamaican cut inside past Caddis’ last ditch tackle and fired home to score his first goal for over two years. 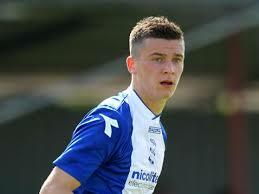 It didn’t take the Blues long to respond, however, as Callum Reilly was brought down by Kaspars Gorkss inside the Reading box and referee Scott Whitestone pointed to the penalty spot. Scottish full back, Caddis, stepped up and calmly slotted the ball inside the right hand post to bring the scores back level just before half time. City carried their momentum forward following the break and just couldn’t find the net. Macheda again went close, but his header hit the crossbar from close range and later almost created an own goal from Jonathon Obita, but his block went inches wide past the front post. With ten minutes before the end, Pavel Pogrebnyak thought he’d wasted Reading’s best chance of the match when the striker missed an open goal from six yards after Adam Le Fondre’s shot was saved by Darren Randolph. But minutes later McAnuff doubled his tally, finishing a swift counter attack at the back post from Chris Gunter’s low cross. Blues created chances right at the death to score a deserved equaliser, but Alex McCarthy made good saves from Nikola Zigic and Chris Burke to ensure his side went away with the three points. Birmingham five points clear of the relegation zone with a crucial game against third bottom Millwall on Tuesday, whereas Reading move into the top six with the victory. “I feel really disappointed for the players because the one result that shouldn’t have happened was a defeat for us. “The minimum we should have got was a point. We played good stuff, we competed with a really good team and it’s tough for the players to take. “They were two excellent goals and, watching it back, two excellent footballing goals. “I’m surprised [McAnuff] hasn’t scored more and it’s not as if he’s not had chances but it’s great that he’s gone and scored them here and all being well he’ll go on a nice run now.